The Village of Whitney Point is nestled at the confluence of the Tioughnioga and Otselic Rivers in northern Broome county in the state of New York. When the first Post Office was established here in 1824, Thomas Whitney became the first postmaster. The village became Whitney's Point until 1906 when the Post Office Department ordered the apostrophe dropped from all post office names. The village was incorporated in 1871, and in 1873 the Whitney's Point Fire Department was organized. 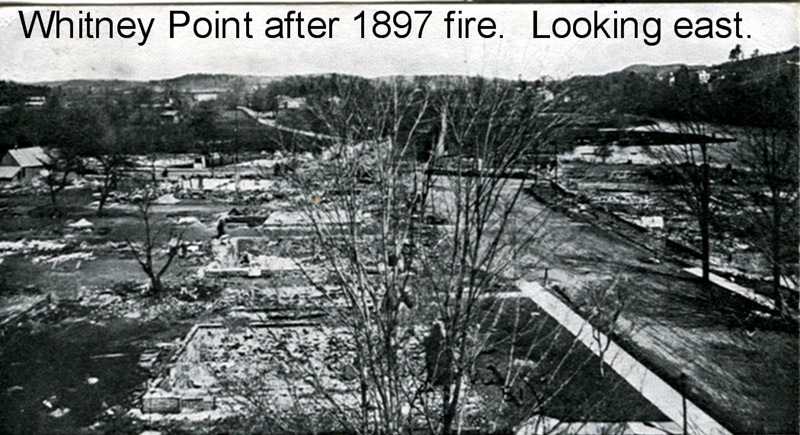 On April 23, 1897 a major portion of the village burned. The fire started in the building that stood on the land now occupied by Aiello's Restaurant. Before the fire was brought under control, 54 buildings were destroyed. 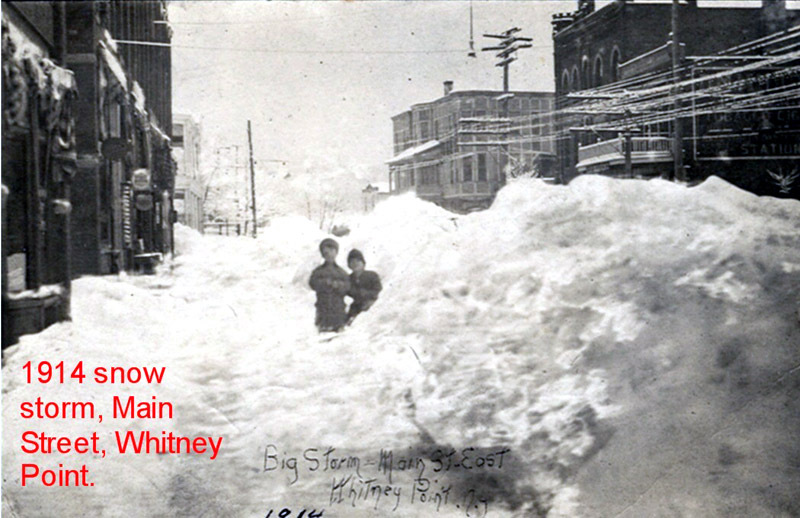 The people of the village began to rebuild immediately, and Whitney's Point was soon bigger and better than ever before. 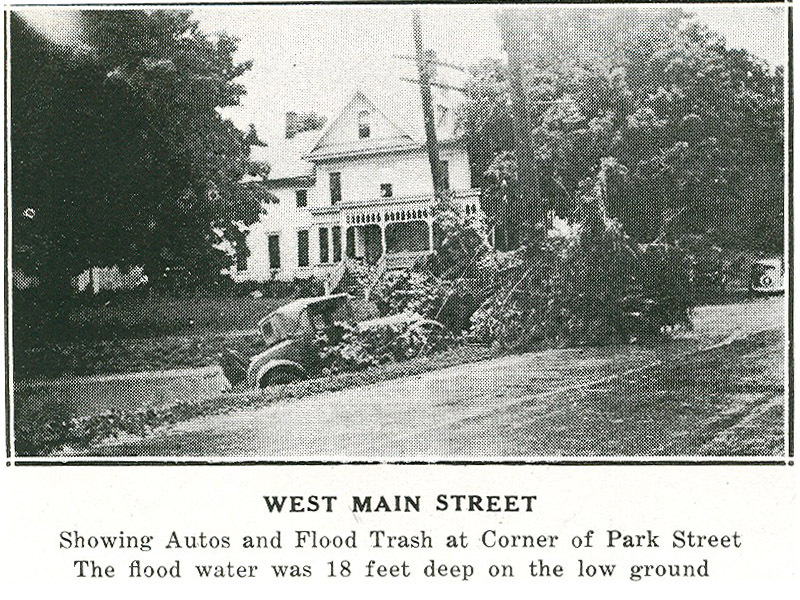 In 1935 a flood devastated the valley. President Roosevelt toured the area and authorized the construction of a flood dam on the Otselic River. The dam controlled all future flooding and created a 1,000 acre reservoir, Whitney Point Lake, which provides recreation for thousands of people each year. The Broome County Fair, held here since 1874, is a big event in Northern Broome County each year; as is the annual Crappie Derby, held in January since 1973. From a log cabin by the river in 1791 to the Whitney Point of today is a major leap, but the residents know that the village and it's "small town" feeling is a good place to live and raise a family. One of Whitney Point's oldest homes was a stop on the "Underground Railroad". This house on Lower Collins Street is now home to an antique shop. 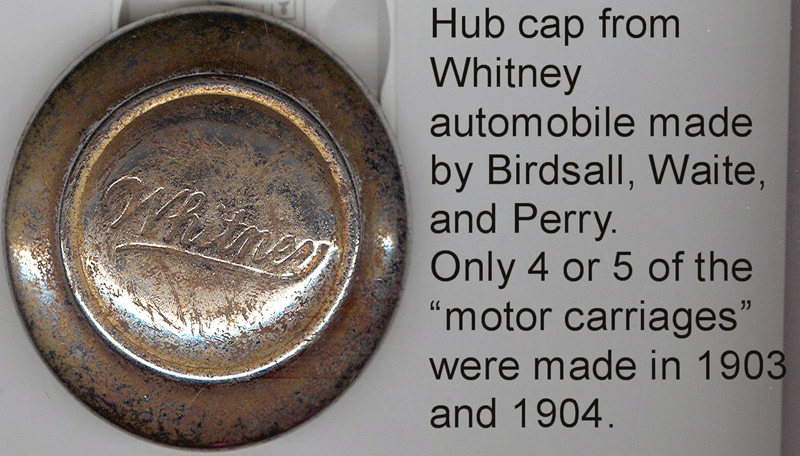 The Whitney Automobile (hubcap on left) was manufactured in Whitney Point between 1902 - 1903. The car sold for $850.00, top and fenders were $70.00 extra. Much of the lumber that was used to build the capital in Washington, DC in 1816 came from this area. The logs were rafted down the river to Baltimore where they were milled and the lumber was sent on to Washington. Special thanks to Juanita Aleba, Village Historian, for writing this page. Looking East after 1897 fire. 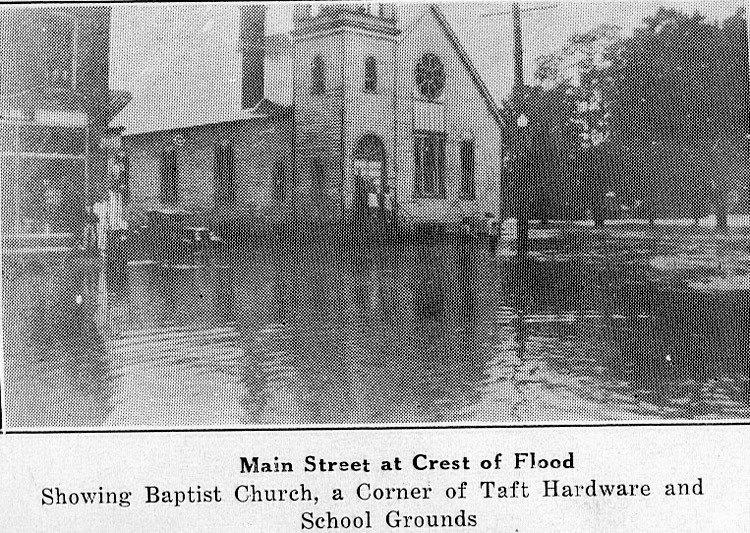 Baptist Church at crest of 1935 flood.